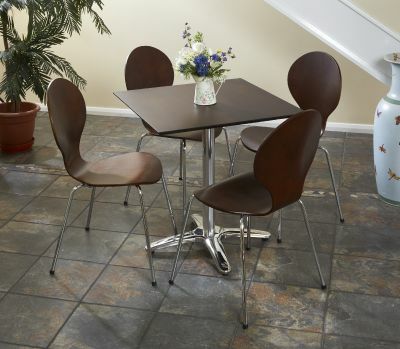 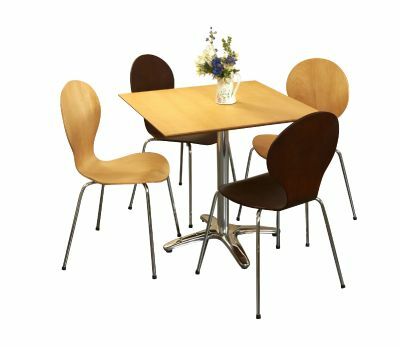 Bistro set comprising four Butterfly chairs in a choice of Natural or Wenge with Chrome legs. 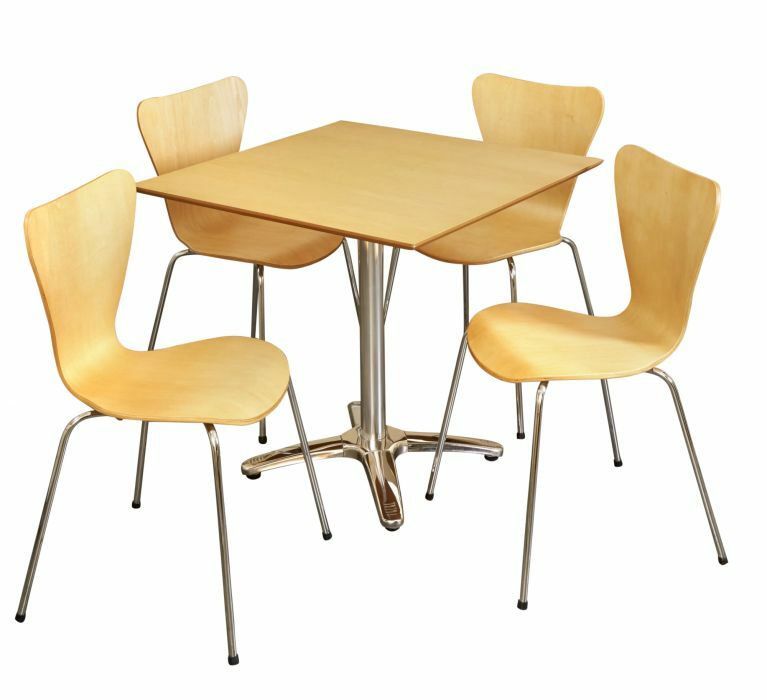 Square 800mm table in a matching or contrasting finish. Stylish four leg Aluminium base.